This jersey comes personally signed by defensemen, Tomas Kaberle. The number is signed on the ‘5’ of the #15. Kaberle was an offensive and defensive threat on the ice. Kaberle put up 87 goals and 476 assists in his 984 career NHL games. Kaberle played his first eleven and a half years in Toronto before getting traded to Boston in the 2011 season, where he went on to win a Stanley Cup. Kaberle was a major threat on the blue line on the powerplay, where he managed 250 of his assists, including a season with 51 points on the powerplay alone. 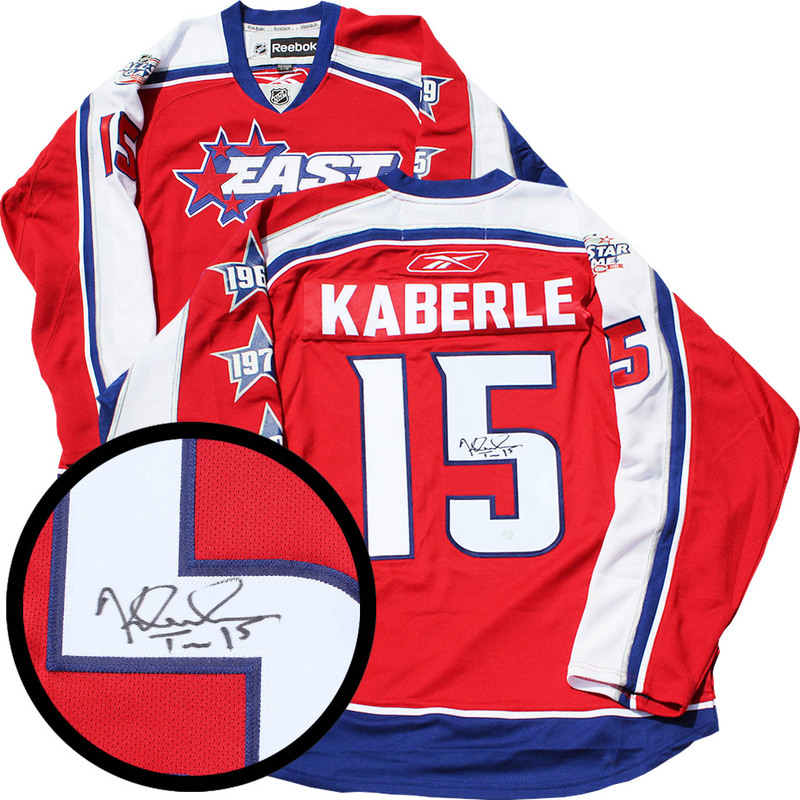 Kaberle and the East won the 2008 All-Star Game by a score of 8-7 over the West. This NHL & NHLPA licensed product comes with a Frameworth COA and hologram to ensure the authenticity of the autograph. We do not guarantee any specific jersey sizes but we typically carry sizes L, XL or 52, 54 & 56 for jerseys. These sizes are considered the most ideal for framing & displaying.